Having the opportunity to help someone else is considered to be a blessing by Jews and by Buddhists. Both groups have sayings to that effect. I think it is always a blessing, if you take the opportunity and do help, and if you do it with a glad heart. I feel sure that there are people in other spiritual belief systems who feel the same. Yesterday I got an email from someone I have never met, asking how to choose a djembe as a present for her son. I'm glad I took the time to write some guidelines for her, and now I can share them with you. My drum teacher, Abubakr Kouyate, says that traditional West African people consider the sound of the djembe to be a healing sound. 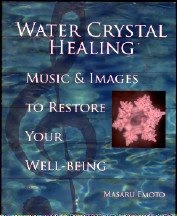 He says the healing actually comes from the tones (one of the three types of djembe strokes: tone, slap, and bass). So playing traditional rhythms on the djembe and its accompanying dunnun family of drums is a very old way of healing with sound. 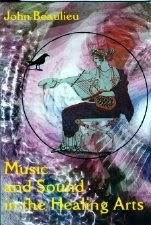 Generally djembe ensemble rhythms are played to heal a whole community. In case you have thought of learning to play djembe in the traditional way, here are some guidelines for choosing one. 1. Wooden body with a real goatskin head. If you buy a "djembe" with a fiberglas body and artificial head, you will quickly become unhappy with the sound as soon as you hear real djembes. Artificial drums are OK for camping, because they are light to carry and resistant to moisture. But the sound is very different from a real djembe. 2. Do not buy a so-called djembe that has metal bolts around the top edge to hold the head on. That is a sure sign that the drum is artificial and the sound will be wrong. The heads of real djembes are laced on with strong nylon cord (such as mountain climbers use). That allows them to be tightened. 2. Make sure the wood is not cracked. Examine it closely. 3. The body of the djembe should be made from a single piece of heavy tropical African hardwood, called lingue wood, hand-shaped on the inside. Definitely you need a hard, strong wood. 4. Carving on the outside is just for looks. Don't let it sway your choice. You could end up with a low-quality drum that only looks pretty. 5. The head must be goatskin (not cowhide). Only goatskin is thin enough to give the right sound. 6. Make sure the head does not have any holes or tears (even tiny ones). If it does, it will soon require reheading, which costs $50 to $100, I think---unless you get a super deal on a drum with a broken head and can factor reheading cost into the price. That is, if you get the wooden body cheap enough, you could afford to have it reheaded. That's a good thing, because drum heads only last a few years anyway. A reheaded drum is like a brand new drum. You know it will be good for several years, unlike a used drum with an old head. 7. Any drum that has been played a lot, or that has not been used in awhile, even a new one, may need to have the head tightened. That is not hard to do, but you need to know how. My teacher or any **real** djembe drummer can show you how. 8. Real, authentic djembes, come from Africa, from Guinea, Mali, Senegal, and other West African countries. However, some nice djembes are also made nowadays in Indonesia (if they use a heavy tropical hardwood), and they will be less expensive. 9. Must be big enough! A real djembe is about 24 to 28 inches tall and 10 to 15 inches in diameter. You need it to be tall enough that you can stand it on the floor, tilt it slightly away from you, and play at a comfortable height. Also, it needs to be plenty big enough to spread out both hands flat above the near edge of it at once. Anything smaller than that is too small to play and will not give a good sound. I hope this helps in selecting a djembe for yourself or for a gift. Playing a djembe in the traditional way is not only healing to those who listen. It is even more healing to those who play. It is a real blessing either way. 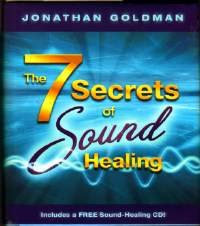 Since I reviewed the book, 7 Secrets of Sound Healing by Jonathan Goldman, I've been thinking. One of the main points of the book, almost the main idea in the book, is that intent is the most important element in healing. All right, that is true in energy healing. And sound healing is, I guess, a form of energy healing. But what about all the medical research that shows that certain speeds of steady, unison drumming cause specific changes in brain waves? Of course, Goldman is talking mainly in terms of assigning various notes to various ailments or parts of the body, or the idea that certain genres of music are healing, while others are not. His point is that the right note to heal one person of a specific problem might not be the right note to heal another person with the same problem---or even the same person at a different time. So maybe the medical research does not invalidate what he is saying. But i wonder. If you work with sound healing, especially if you have read 7 Secrets, what do you think?